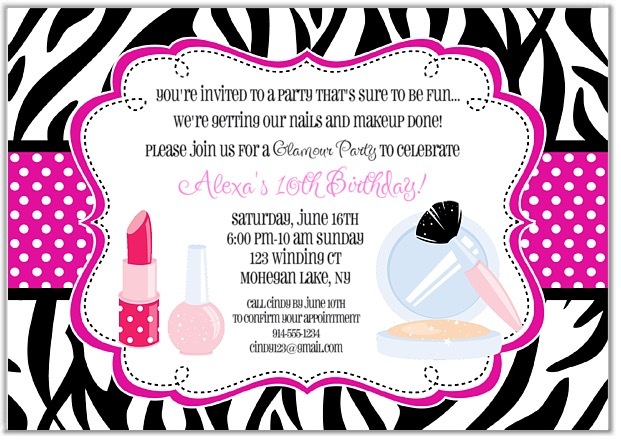 Glamour girl makeover birthday party invitations. 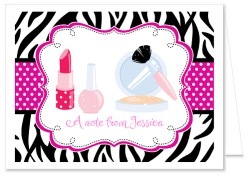 This glamour invitation features nail polish, lipstick and powder compact and brush with a zebra and polka dot background. 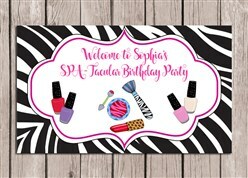 Ideal for a girl's glamour or spa birthday party. These are printed using a high quality laser printer and the finished party invitations are affordable and of outstanding quality!